What an awesome experience it has been this summer with the ETEAMS Math & Science Partnership. I am a 5th grade Science teacher with CCISD and I cannot wait until I can share my experience with my students. Let me tell you a little about the study I was a part of. 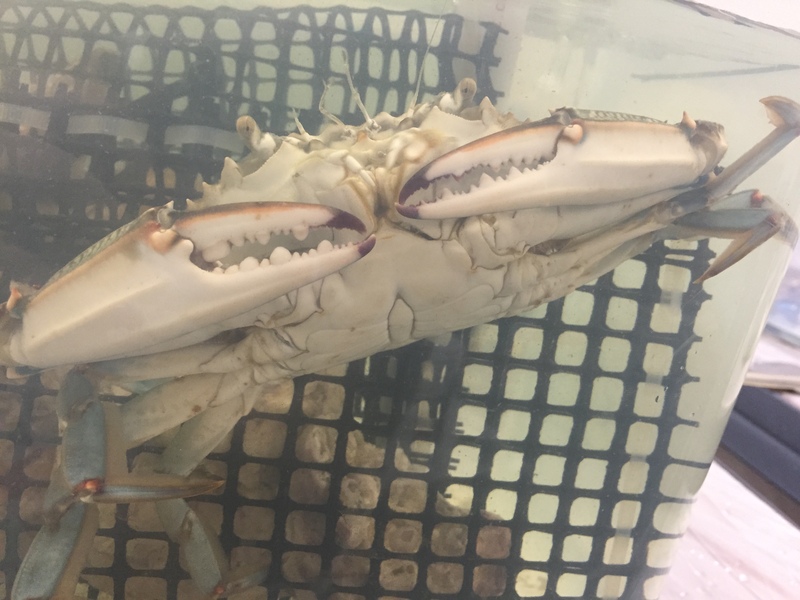 The study who is led by Avery Scherer (Dr. Smee) is observing predator prey interactions on oyster reefs, using oysters and their predators (crabs) as a model system. 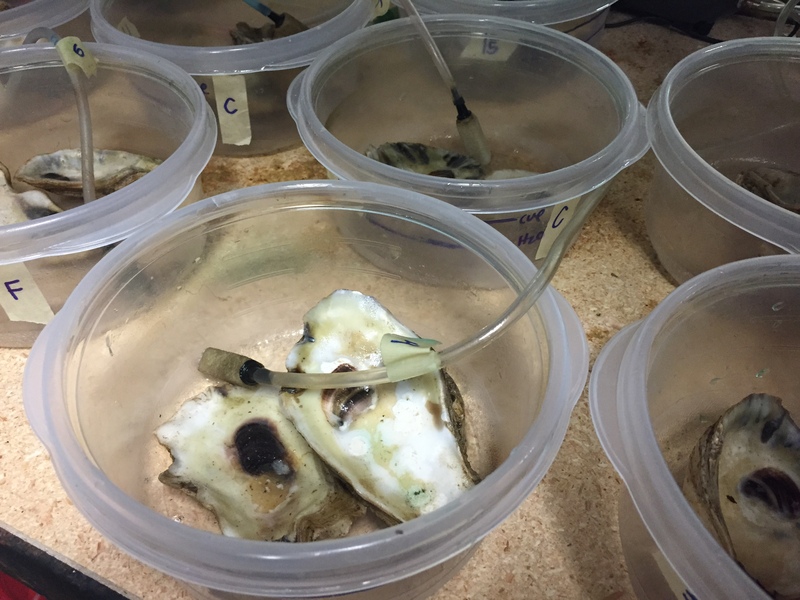 I have been working on the morphological responses oysters produce in the presence of predators. 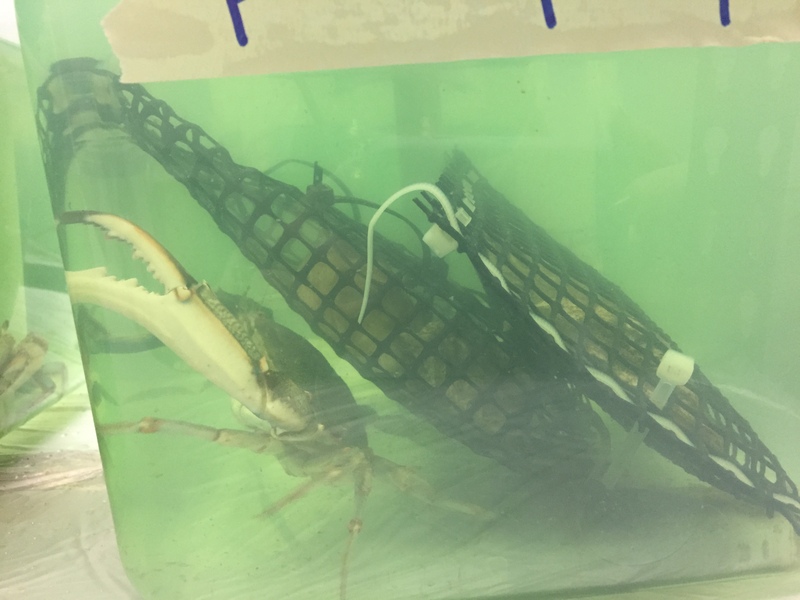 This study goes into further experimentation by observing if the responses are flexible and can be turned off after the oysters are a little older and whether or not responses differ depending on whether the predators have been eating freshly killed oysters or have scavenged dead tissue (thank you, Avery). We changed the tank water weekly for the crabs and oysters. We made “ocean water” and measured the salinity using a handheld refractometer. Avery then feed the oysters phytoplankton. We participated in a MOCK DATA run. We took measurements of the diameter of the oyster shells using a calibrator. We also checked the pressure of the oyster shells using a penetrometer. We took part in an educational meeting in which we learned about inferential statistics, along with organizing the MOCK DATA using excel. Later we took the surface area of 50 oyster shells using a webpage called imagej. That data was also organized on an excel sheet with bar graphs comparing results. We were very lucky that Avery organized a tour of the Neurobiology lab being led by Dr. Mozzachiodi. His presentation of his study was very interesting. He is studying lab work on the behavior of marine snails. We also participated in a tour of an experimental study on barnacles. Here we were able to dissect a barnacle. It was really cool. I learned that a lot of work goes with these studies. There is always new learning around, data being gathered, consistency in procedures. It is all very impressive. I have always enjoyed Science, so being able to experience this was a real treat. An experience that I get to share with my students in my classroom. Now that is priceless. I learned that blue crabs really love to eat oysters and with such a force too. Do you know how oysters grow? Well now I do. It really gives you an appreciation of the whole oyster journey. I bet you are googling it now. I learned about and used some new tools like a calibrator, refractometer, and a penetrometer. All showing how well Math and Science can be integrated. One of the really neat things I learned happened during the barnacle study tour. I have attached a short video clip of my dissection experience. Please disregard my silly excitement. How long can one study go? Does someone else pick up where one left off? Do oysters have other predators? Are blue crabs exclusively oyster eaters? How important do you think math and science are in these studies? What advice would you give 5th graders when thinking about Science Fair projects? Being a teacher it was awesome to see first hand what it is like to participate in a study at a graduate University level. My new learning experience allows me to teach my students all of the interesting things that I learned. I believe that if my students see the excitement perhaps they will be just as excited to learn new things about Science and Math in the classroom. Integrating Math and Science really shows our students that the two subjects fit hand and hand. Plus they are continuing to practice their math skills outside of the “math classroom” which is certainly a positive. I have attached a short video clip from Career Girls: Scientist “Importance of Science and Math” just a little something to share with your students.